3. Match with one of our selected linings. 4. Bring your measurements into store OR if you would like more help, book a FREE in-home consultation with one of our Design Consultants. 5. Your order will be ready for collection in just 12 working days* or ask about our Installation Service. 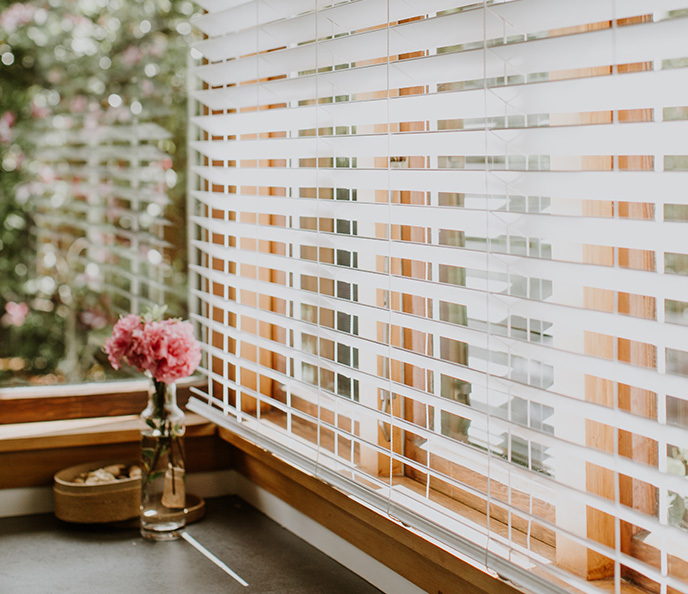 If you are wanting to include Custom Roller and Venetian Blinds, we have blind ranges that are available in just 12 working days so you don’t have to wait for your on trend look! 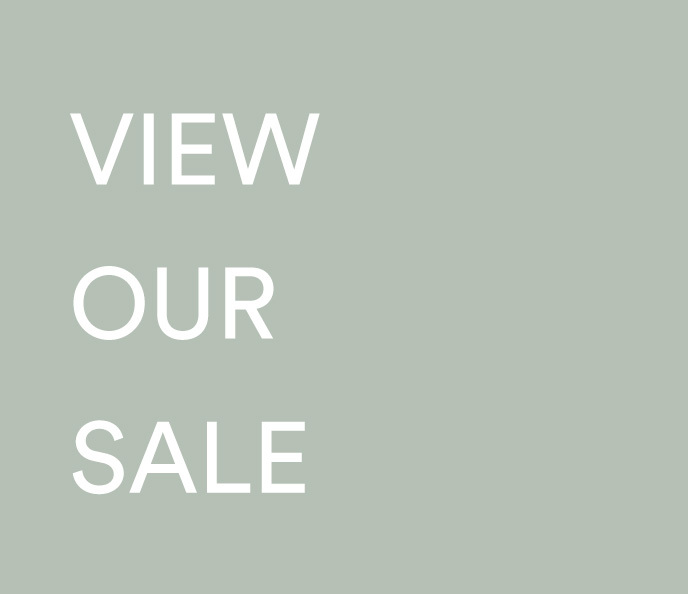 View our ranges in-store or request a FREE consultation and one of our Design Consultant’s will come to your home. 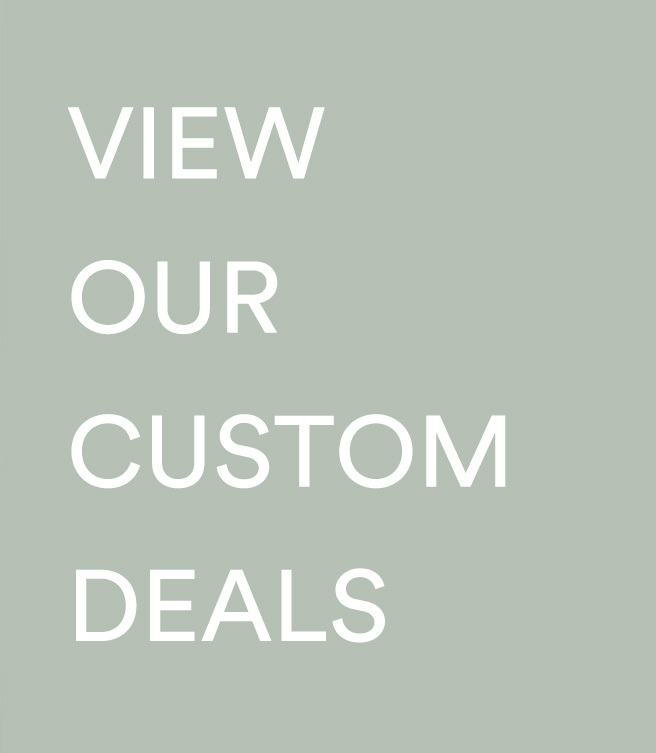 If you would like something different for your home, just ask us about our other custom making options available. Gorgeous and luxurious, Toulouse is sure to elevate your space. 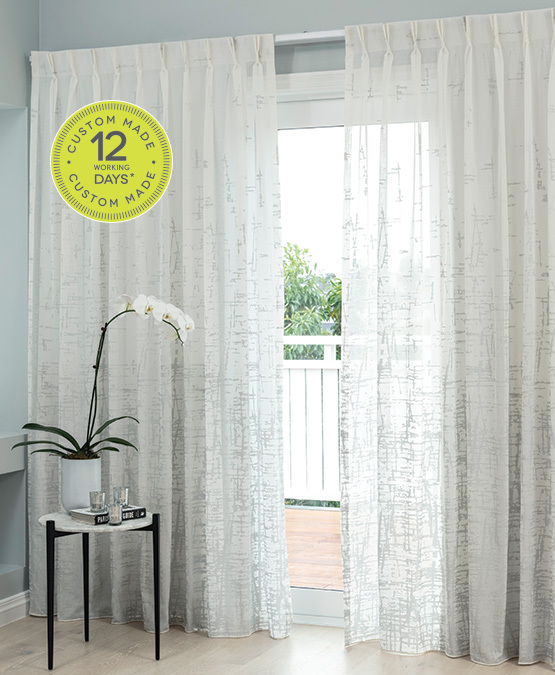 The stylish graduated pattern on the sheer looks beautiful drawn during the day, or simply pull the lining curtain on the track behind for extra privacy at night. 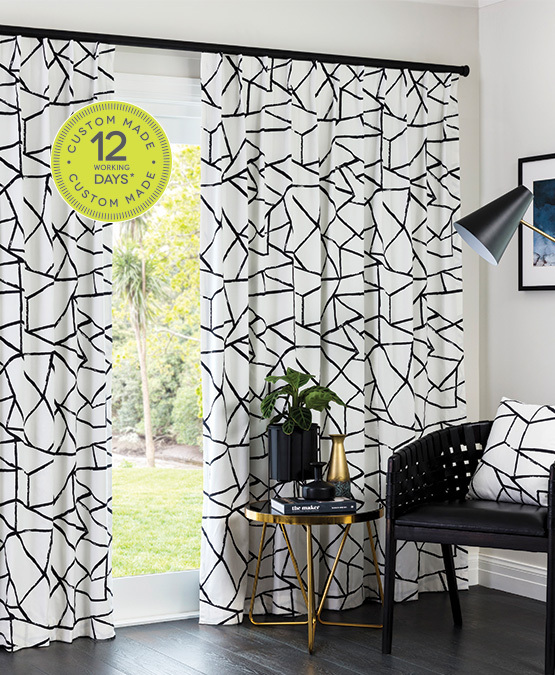 Add a touch of drama and style to your home with Enchant Ink, a beautiful semi sheer print. 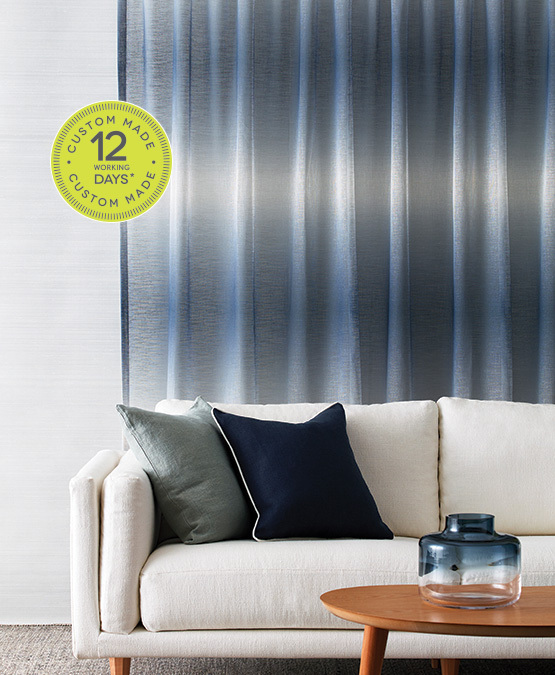 This stunning design features soft hues of blues and greys that move effortlessly from dark to light creating a gentle gradient finish. 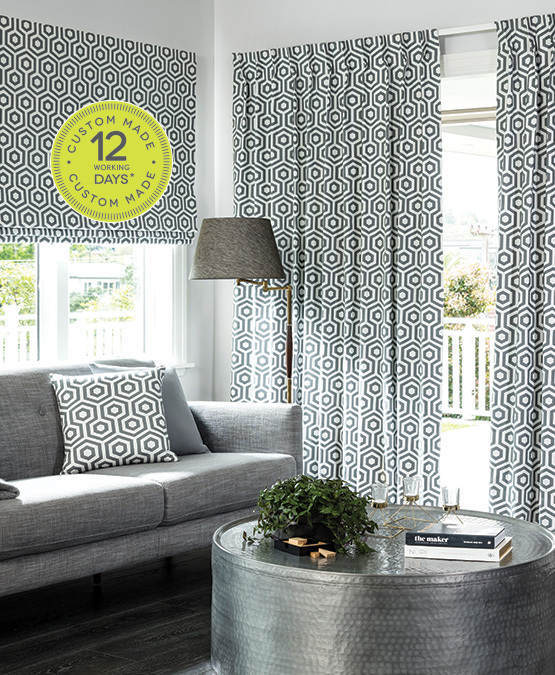 Bold and sophisticated, this stunning pattern will add a modern statement to your home. 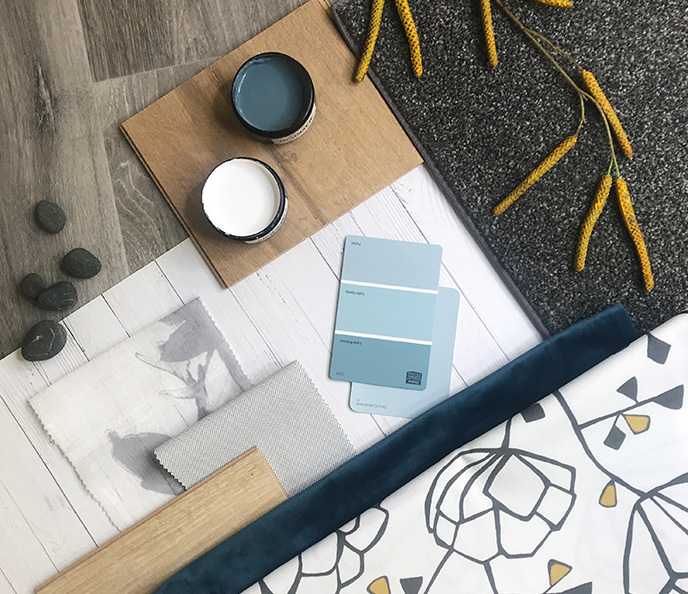 We have selected a single pleat heading to showcase the beautiful tones of charcoal and grey with a pop of teal blue for an on trend look. For a fresh modern look this season, you can’t go past Riviera. 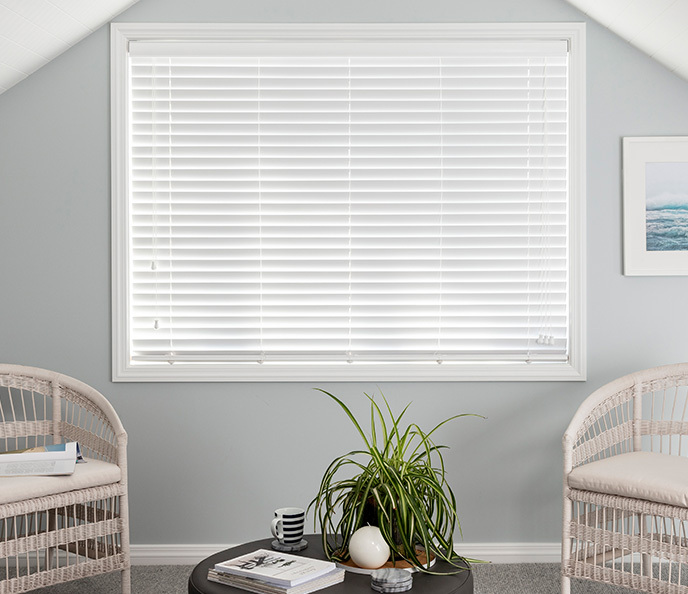 To showcase the sophisticated grey stripes – we have used a contemporary single pleat heading and attached a lining behind for extra warmth and privacy. Summer is a youthful and refreshing approach to design and colour. 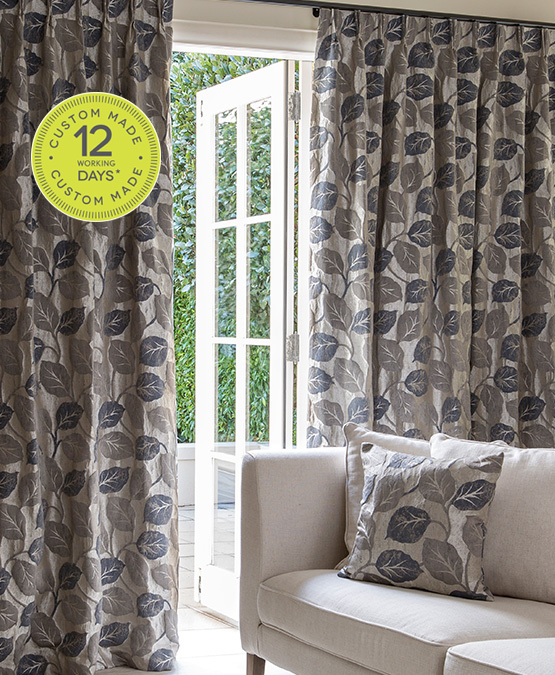 Inspired from the changing seasons; Summer uses abstract design to reinterpret the silhouette of emerging spring bulbs. 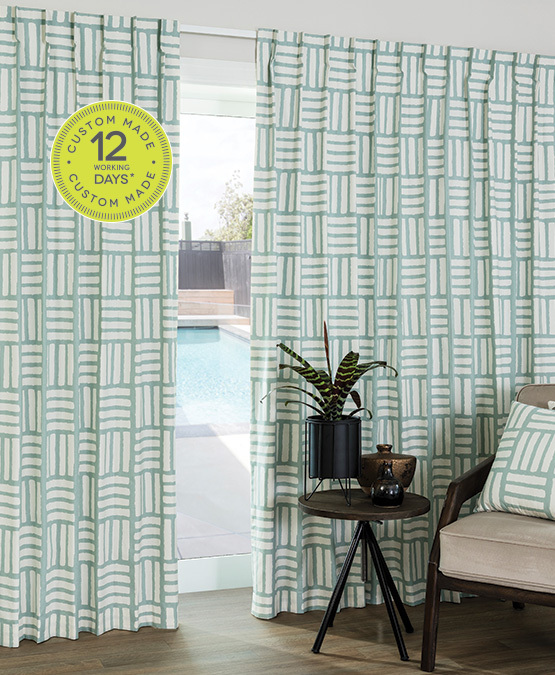 Create a statement in your home with Arlo, a contemporary geometric design in modern colours. We have completed this look with a double pleat heading to add extra fullness and softness to the fabric. 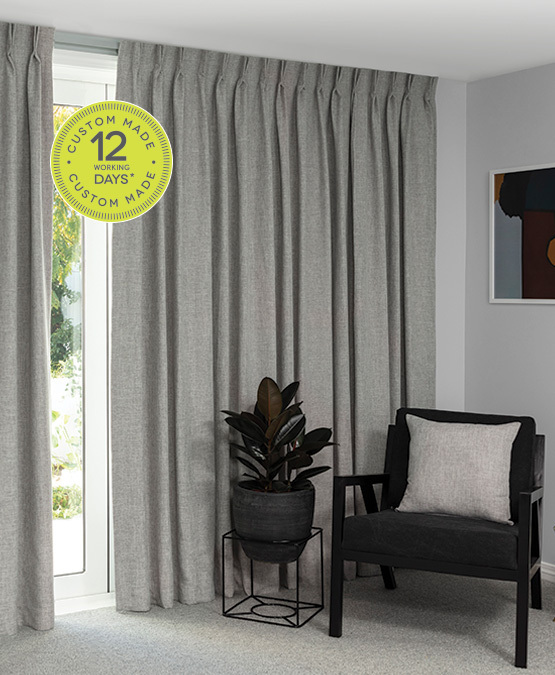 Enhance your interior with Aspen, an affordable two-toned fabric available in on trend colours. To elevate this look, we have used a double pleat heading to add extra fullness to the fabric. 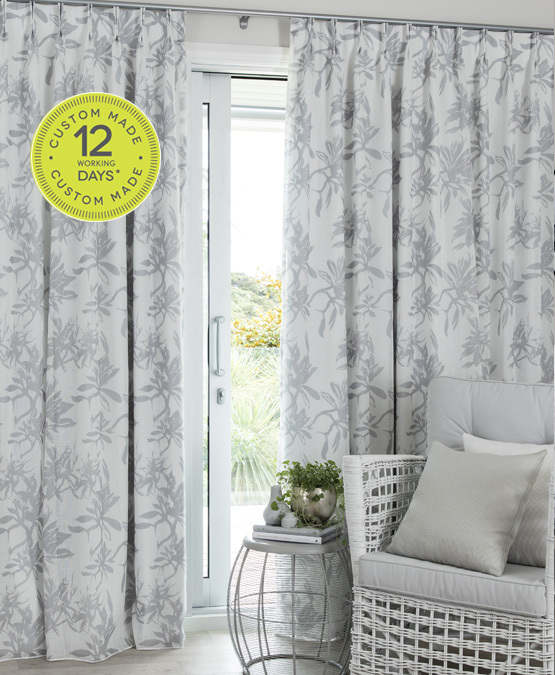 Introducing Seraphina, a linen look Sheer in a soft, modern floral design with subtle hints of colour throughout. 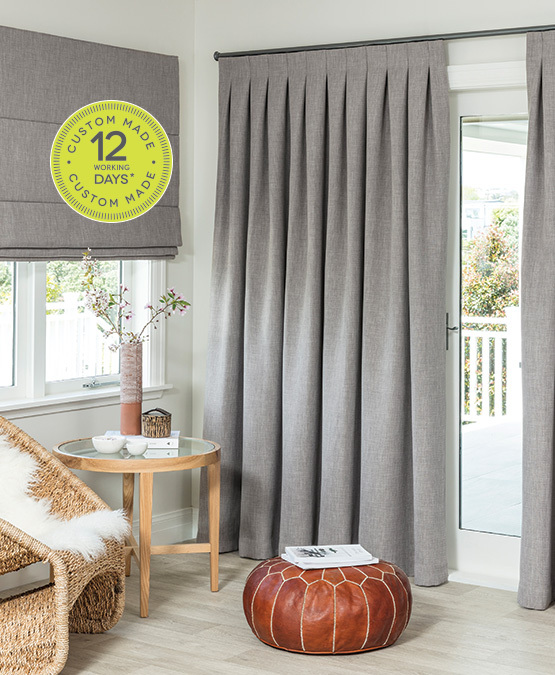 Its weighted hem ensures a clean, neat finish. We have matched with a Pewter Rod to highlight the darker tones in the Sheer. 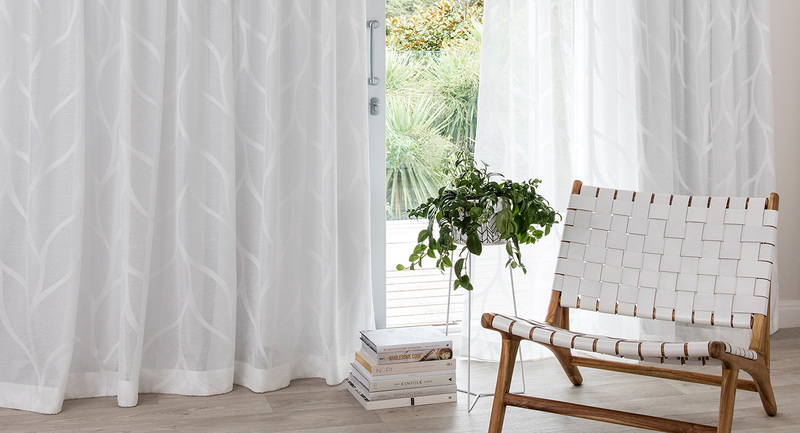 Add a soft finish to your home with Elwood, a simple self woven linen-look sheer. 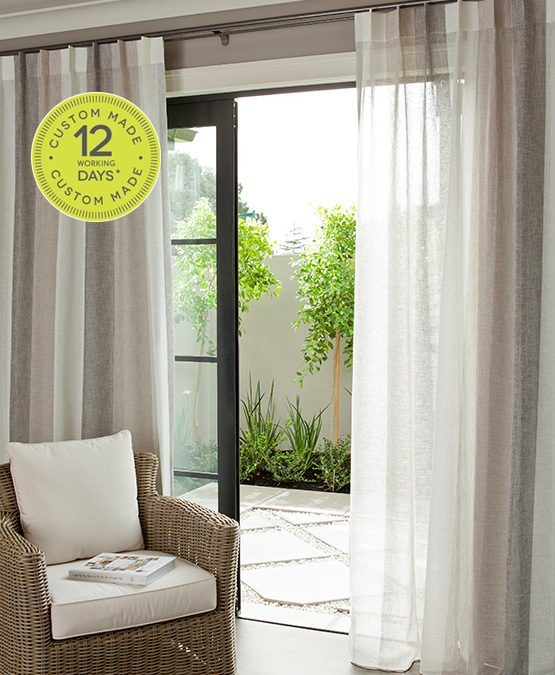 A double track with a lining behind means you can enjoy a soft floaty sheer by day and privacy at night. 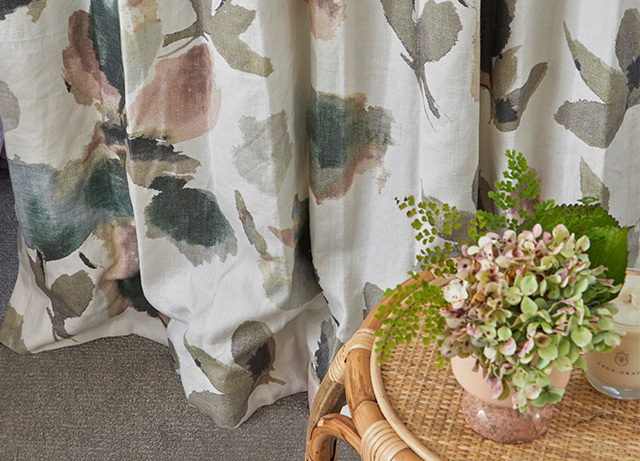 Transform your home with Parade, a linen inspired sheer with a beautiful botanical print. 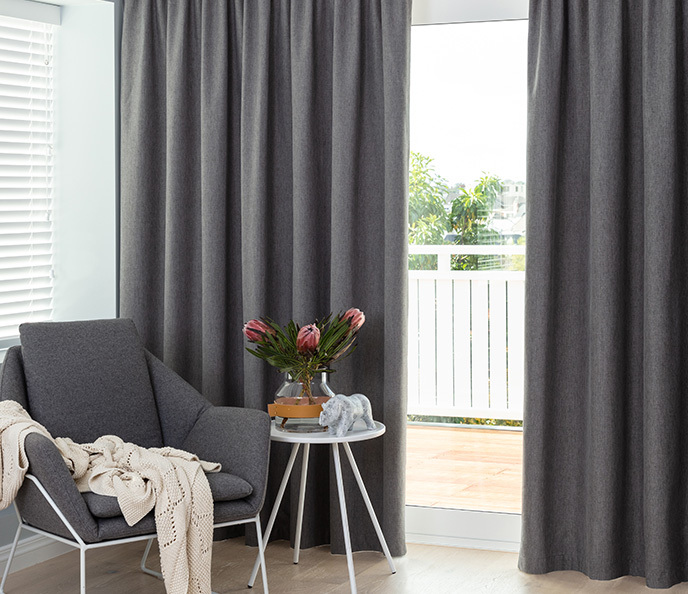 The weighted hem ensures the perfect drape, whilst a lining maintains the softness of a sheer but adds the privacy and warmth of a curtain. 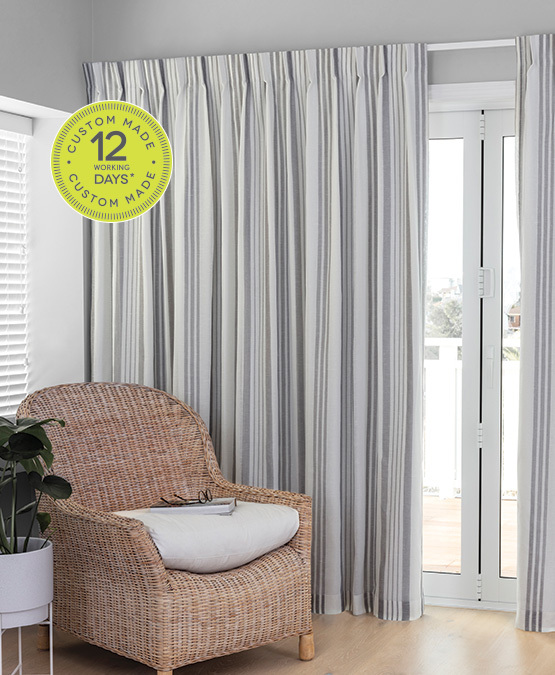 For a modern casual style Flaxton, a natural wide stripe linen-look sheer, is a popular choice. 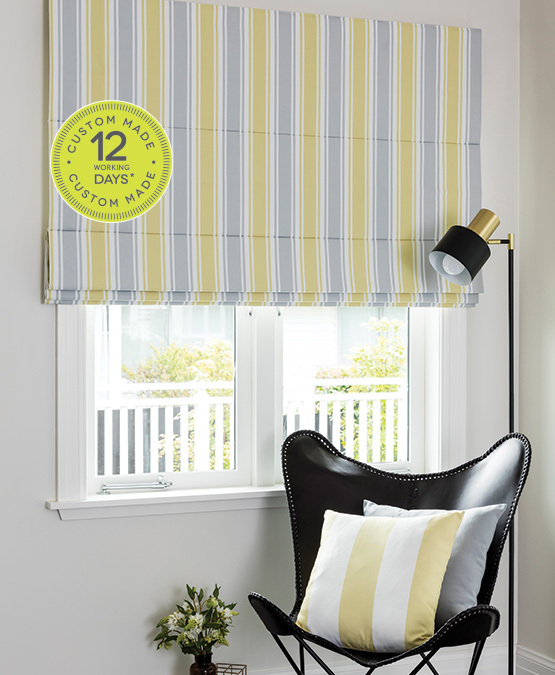 To enhance this look we have used a single pleat heading, pleated to the centre of each stripe. A blockout lining has been added on separate track which can be drawn at night for complete privacy. 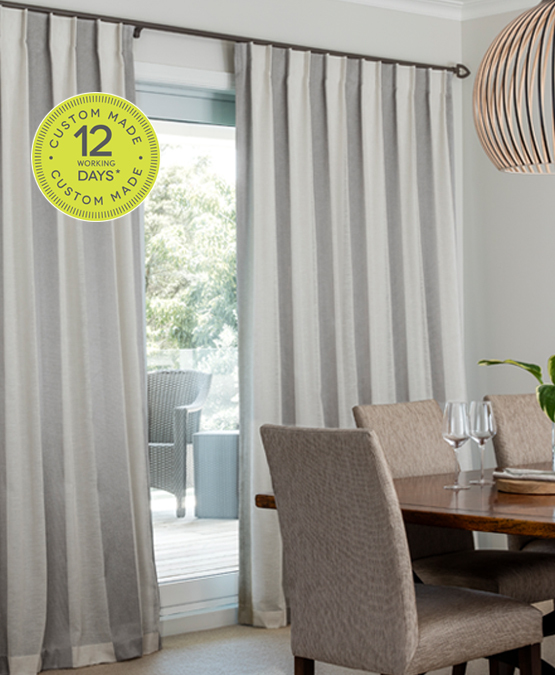 The weighted hem ensures these curtains sit beautifully on the wooden floors. 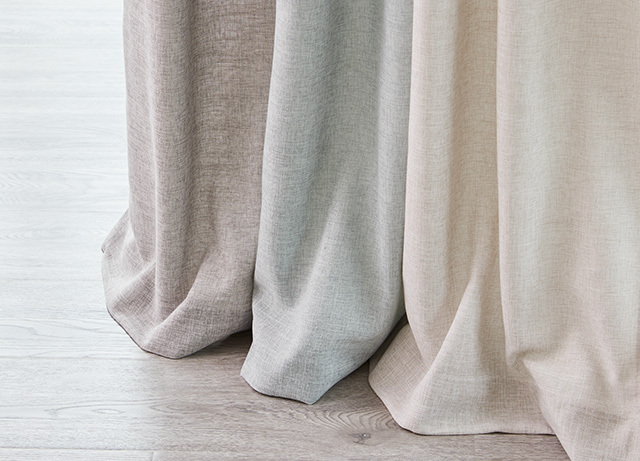 A stunning linen-look fabric with subtle tonal stripe colour and weave variations is the perfect look for a contemporary or classic scheme. A blockout lining has been added on a separate track which can be drawn at night for complete privacy. 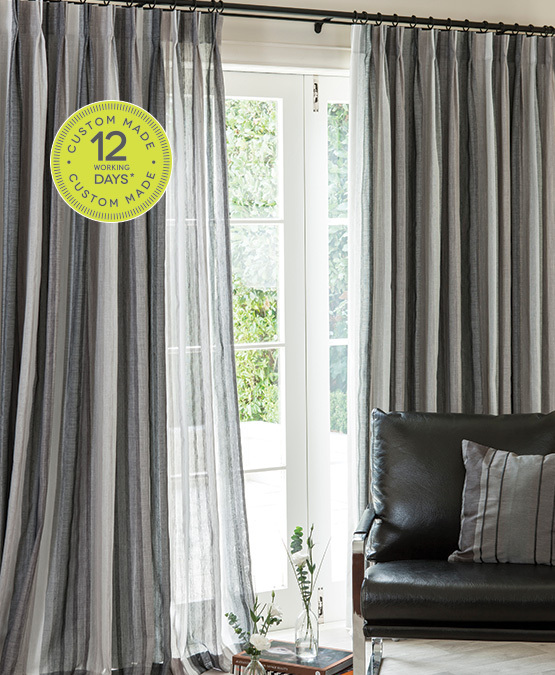 For timeless simplicity choose Emerson Smoke, an affordable triple-weave fabric in a modern colour palette. Its tonal, textured weave adds dimension to the overall look and ensures the fabric falls in soft folds. Being triple-weave this fabric is dim out and requires no lining! 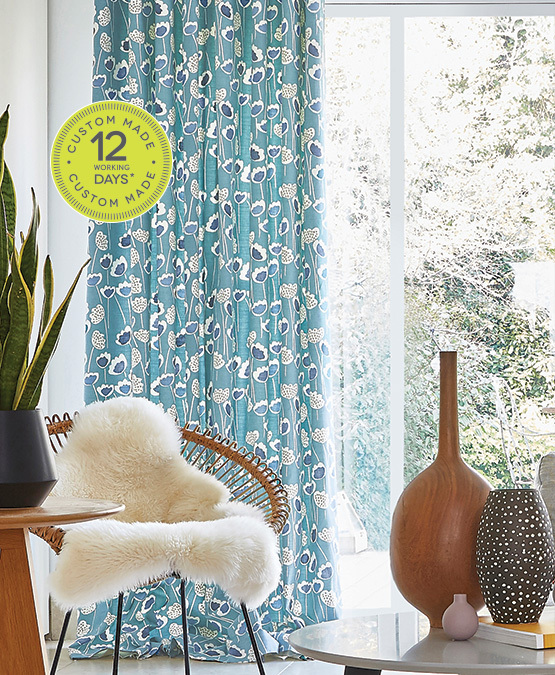 Create a tranquil feel in your home with Hazelhurst Mineral, a fresh modern print. 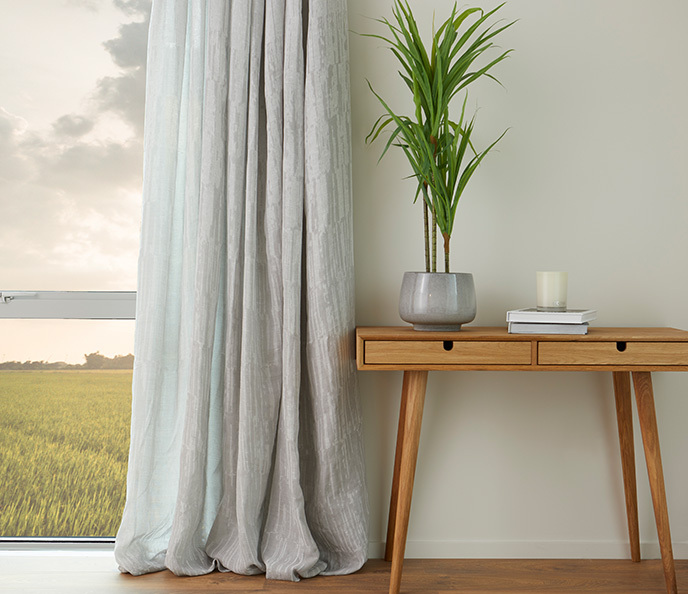 Combining curtains and roman blinds are ideal when you have windows of varying height, giving a finished look to a room. 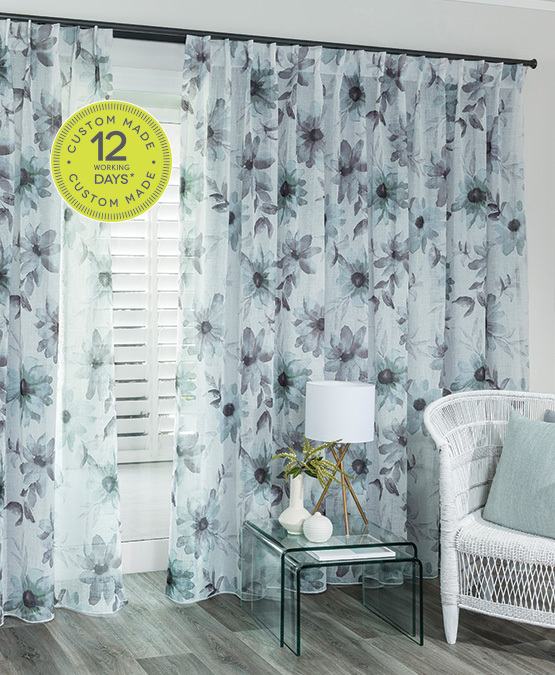 A stunning geometric design in soft tones is sure to compliment any décor. 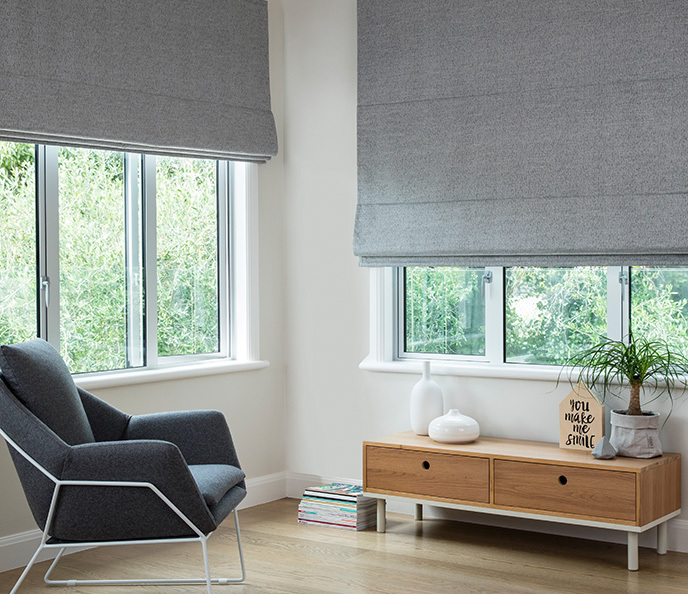 A single pleat heading shows the full impact of the design, whilst the neutral track colour blends into the surroundings allowing the curtain to be the focus. 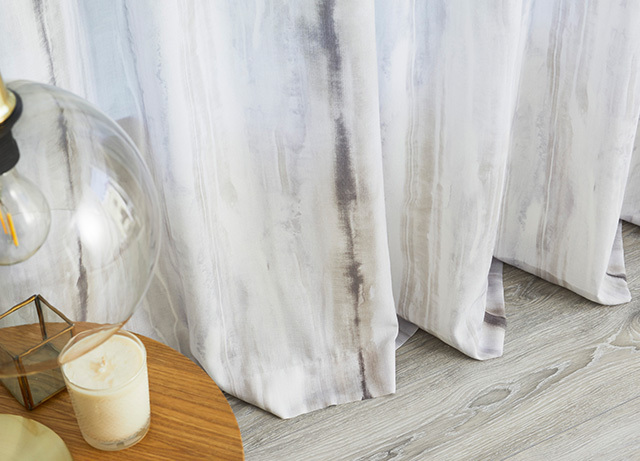 Add a touch of style with Mallorca, a linen-look sheer teamed with a metallic stripe for a natural yet very luxurious look. We have pleated to the edge of each stripe for a smart finish. 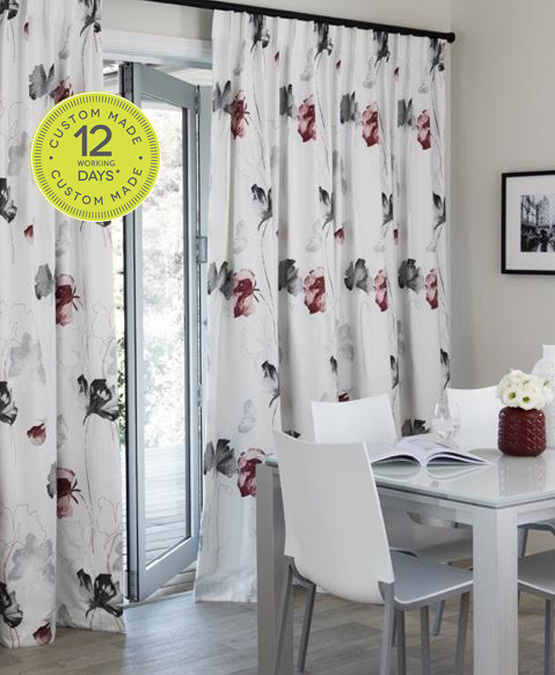 For a gorgeous fresh look, this stunning red watercolour effect floral incorporates on trend accents of silver and charcoal. 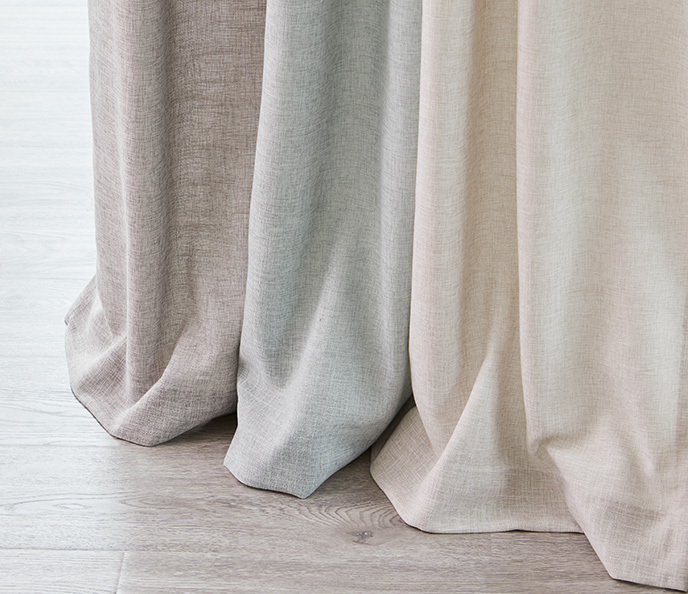 A single pleat heading creates a clean, modern finish allowing the design to shine! 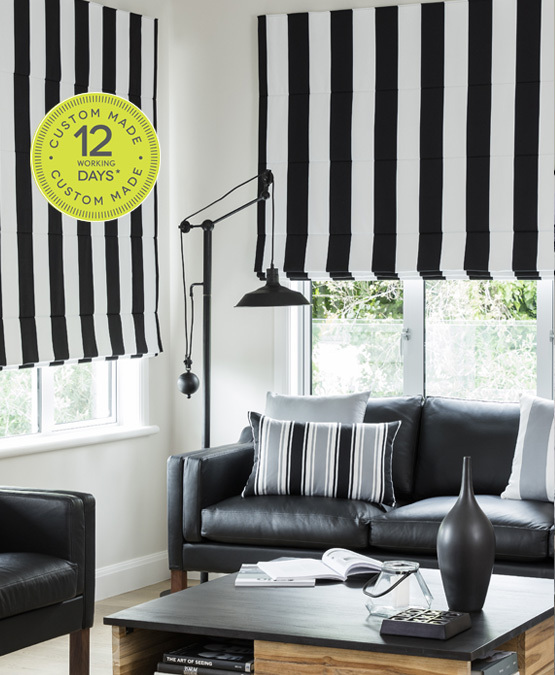 Dramatic and bold, Welland Ebony features classic black and white stripes suitable for today's monochromatic trend. 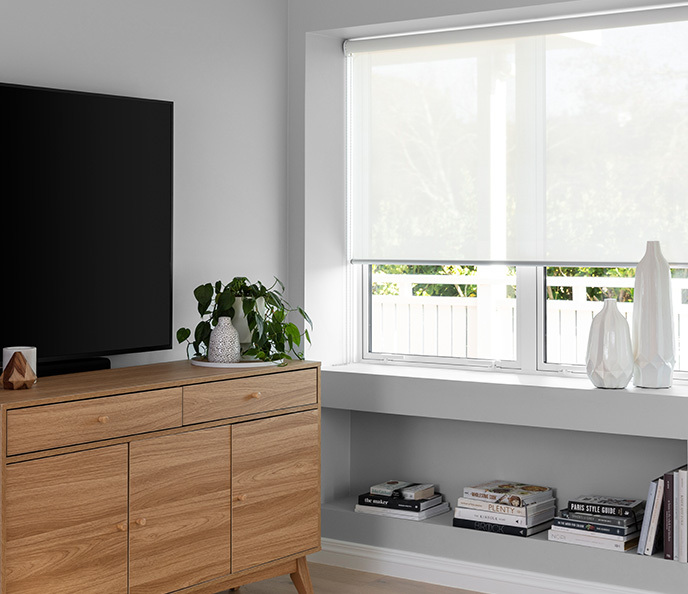 Roman blinds are a simple and easy way to save space, especially for corner windows. 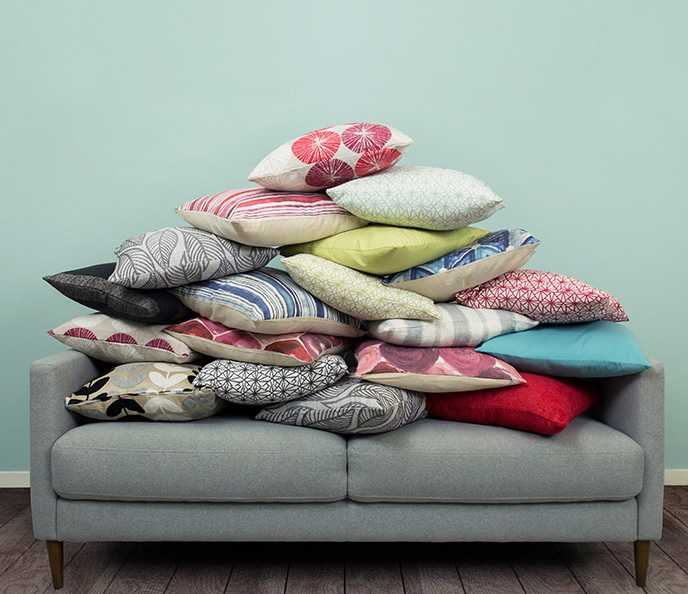 Complete your look with coordinating cushions from the Clarksville Collection. 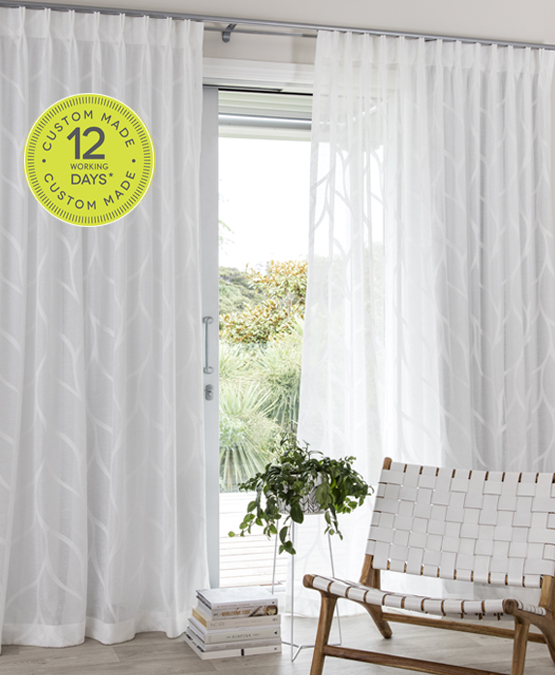 Add a little ray of sunshine to a corner space with Fullerton custard. Roman blinds are great when you don't have the space to stack curtains. 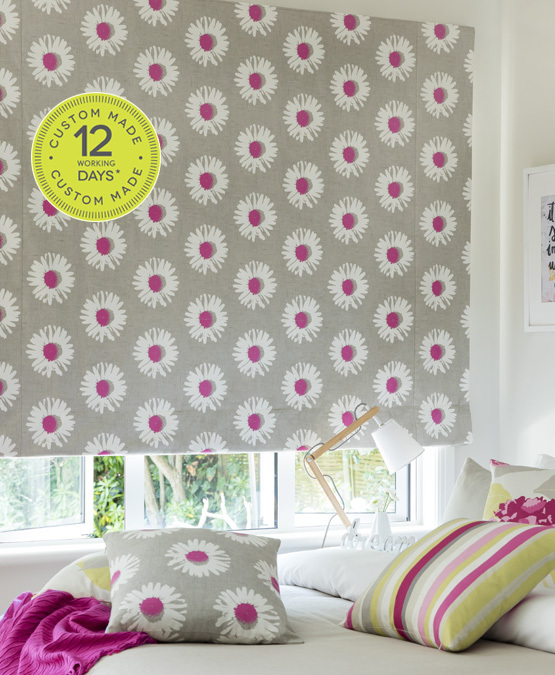 Bright and fun, Daisy Pop freshens any room in an instant! Team with other designs in the Monaco collection for a coordinated colour story. 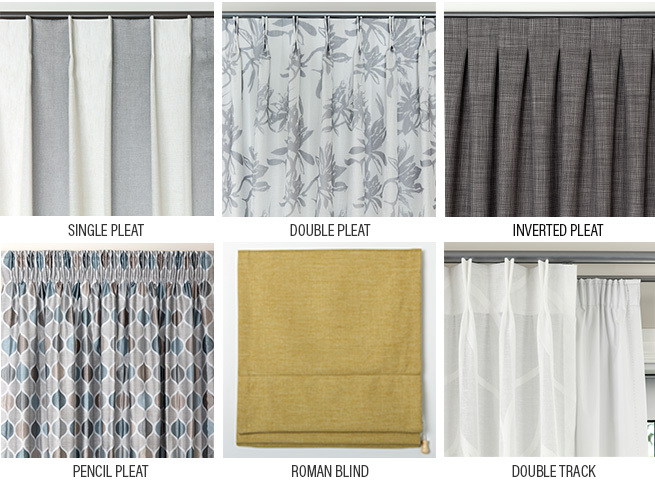 We have pattern preserved the roman blind to keep the design complete. 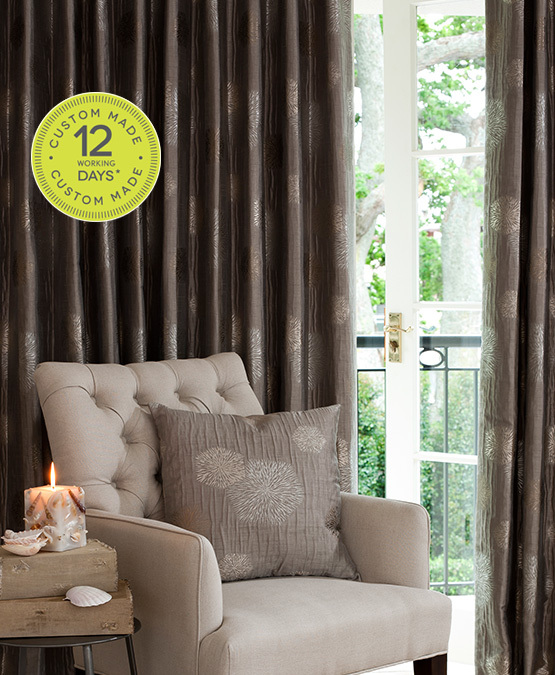 With its stylised leaf design and pearlised sheen, Mayfair adds elegance and sophisticated style to any room. A classic double pleat heading completes this stunning look. 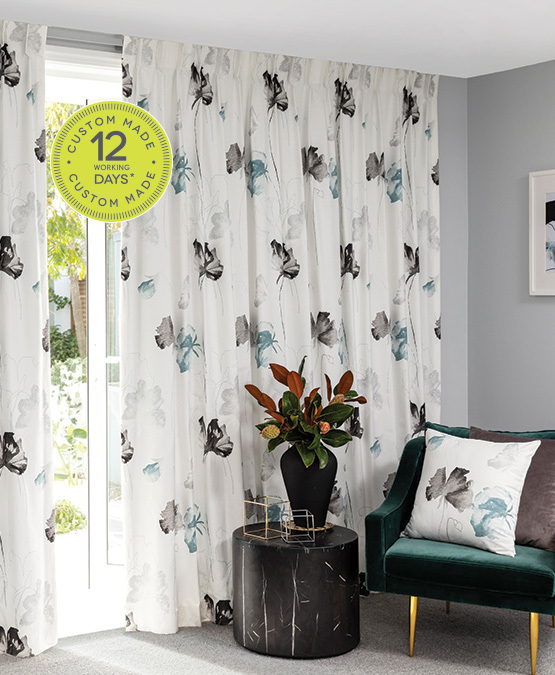 Add a touch of sophistication to your home with Santorini, a contemporary design on a beautifully textured background with stunning metallic starbursts. 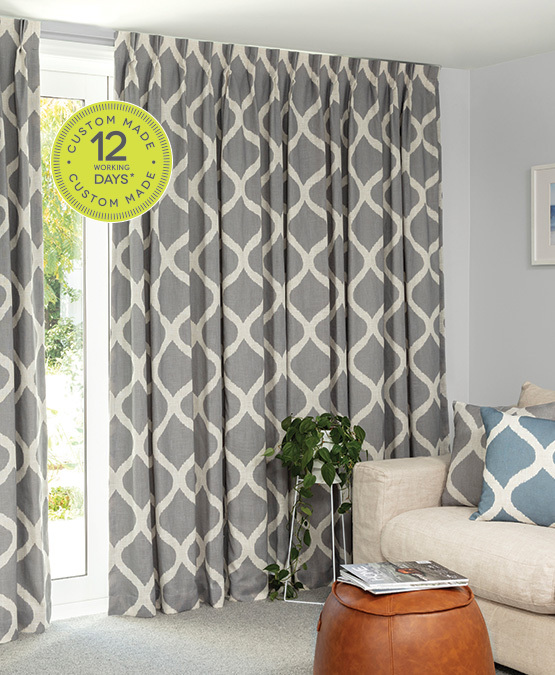 Santorini comes in a classic neutral shade or the bolder colours of Graphite and Merlot.